Psychiatry has always involved a fair degree of controversy and debate, but many now regard the field to be in a fundamental state of change concerning its underlying theoretical foundations. 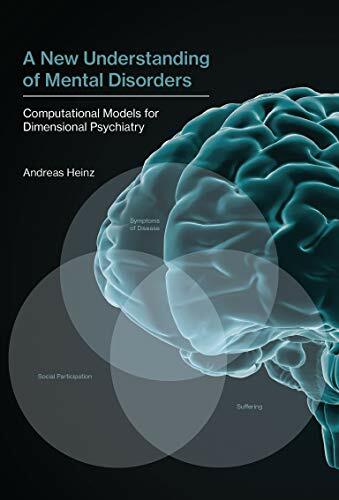 In this book, Andreas Heinz follows suit with this view of psychiatry and presents a synthesis of ideas intended to establish a new foundation for the field to move forward in a progressive and integrated manner. The central goal of Heinz’ proposal is to situate our understanding of mental disorders in relation to basic learning mechanisms and what we know about them through the study of computational models of brain processes, thereby reframing mental disorders in terms of the “basic dimensions” of the mind rather than the symptom-based categories of existing diagnostic procedures. There are good reasons to think that psychiatry is currently in a state of conceptual upheaval. Perhaps most notably, there is the recent shift in research priorities proposed by the National Institute of Mental Health’s “Research Domain Criteria,” aimed to motivate empirical investigation into the underlying causes and mechanisms of mental disorders that are (arguably) becoming observable across the multiple dimensions of human life studied by contemporary sciences (e.g. genetics, molecular biology, neuroscience, etc. ), in contrast to the more symptomatic understanding of mental disorders that informs existing diagnostic categories in traditional sources, like the American Psychiatric Association’s Diagnostic and Statistical Manual of Mental Disorders, currently in its 5th edition. This conflict between traditional classification systems and new research domains is Heinz’ starting point, which he describes as a state of “crisis” in the field, now ready for a revolutionary new paradigm. As you might infer from the book’s title, Heinz has a new path to offer, one that fits the general aims of forward-looking research institutions like the NIMH. Heinz begins his account with neurobiologically-informed explanatory models of Pavlovian and reward-dependent conditioning, followed by computational accounts of executive control and decision-making, with a focus on modeling learning mechanisms and their roles in mental disorders generally dominating his attention throughout the book. This is not to say that Heinz simply reduces mental states and disorders to underlying mechanisms and neurobiological processes, however. In fact, he cautions against simplistic reductive approaches to human mental life, maintaining that our understanding of mental disorders must include the personal experiences of mental patients and even public dialogue concerning the social significance of diagnostic criteria. These personal and social factors are not particularly central to Heinz’ explanatory models, however, which largely focus on identifying the neurobiological processes involved in learning and decision-making problems, emphasizing such things as reward prediction errors, dopamine-dependent salience misattributions, and serotonergic modulations in aversive stimuli processing to account for the causal underpinnings of mental disorders across multiple categories, giving particular attention to addictive disorders, psychosis, and affective disorders. Heinz has been engaged in research in these areas for decades and his account offers an informed synthesis of valuable knowledge, the acknowledgement and understanding of which can plausibly serve to move psychiatry toward more empirically-rooted diagnostic procedures. One could question to what extent this overall account lives up to the book’s title of providing a “new understanding” however. As Heinz himself readily reveals throughout the book, much of the content he incorporates has been in development for quite some time, from major research trajectories spanning throughout much of the twentieth century. As an active contributor in some notable areas, Heinz is certainly well-positioned to represent this research in his book, but it would be hyperbolic to say that he has singularly established a new understanding of mental disorders here. Instead, I would say that this work synthesizes our best current scientific understanding of the neurobiological learning mechanisms involved in mental disorders across different traditional categories, thereby enabling the identification of important causal pathways that are instrumental to a more accurate understanding of mental disorders in relation to the central functions of the brain. I would not say that Heinz accommodates or acknowledges all relevant dimensions of a comprehensive understanding of mental disorders, however. One chapter that drew me to the book is titled “Evolutionary Concepts of Mental Disorders: A Unifying Framework?” I had hoped this chapter would engage recent evolutionary contributions to mental health research (e.g. the work of Randolph Nesse and his advocacy of evolutionary medicine, just to name one possible example) and discuss their potential to facilitate theoretical unity in the field, but instead Heinz’ focus on the topic is entirely historical. He does not discuss any evolutionary work past the early twentieth century, and only spends time addressing the problematic assumptions of past evolutionary theory, such as the rightly-dismissed idea that evolution exhibits unilateral progressive development leading up to the modern human. Contemporary evolutionary thought is far beyond such problems now, but there is no attention to, or even recognition of, contemporary evolutionary approaches in the book. Of course, one cannot address everything, but the fact that Heinz devotes an entire chapter to evolutionary approaches without addressing any of the recent work that exists on the topic is an unfortunate and disappointing oversight. I was also disappointed to find no attention to more explicitly pluralistic models and approaches to psychiatry, such as the biopsychosocial model, which has been impactful in the field for decades. Heinz himself appears to be somewhat pluralistic in his general perspective on psychiatry. He cautions against oversimplification and dismisses unilateral reductionism, as already mentioned, and he also acknowledges the importance of psychological and social factors multiple times in the book (not to mention giving some attention to other areas of biology that do not play a central role in his own explanatory framework, such as genetics). Indeed, much of what he says is compatible with, and could further benefit from, a broadly biopsychosocial understanding of psychiatry, but he simply does not consider the possibility. This is unfortunate. For example, as mentioned earlier, Heinz thinks the public should be involved in assessing the social consequences of psychiatric diagnostic criteria, but he offers no guidance on how this might actually happen. Framing psychiatry in biopsychosocial terms could help bring such social factors more explicitly into the processes of psychiatric research, rather than just vaguely pointing to the importance of social factors while focusing on other matters that, taken alone, could lead to the reductionism that Heinz is concerned to avoid. Neither of these disappointments should be regarded as fatal flaws or warnings not to read the book, however. Overall, this book is a worthwhile contribution in its areas of focus and should be of interest to anyone concerned with the theoretical foundations and/or future research trajectories regarding our understanding of mental disorders. Heinz draws together substantial insight into learning mechanisms and how they factor into mental disorders across traditional categories, marking out an important domain of investigation for psychiatry as it moves forward towards more empirically-informed diagnostic and therapeutic procedures. Dr. Jesse Butler is an Associate Professor in the Department of Philosophy and Religion at the University of Central Arkansas, where he teaches courses in the philosophy of mind, critical thinking, philosophy of language, and philosophy for living. His research focuses on theories of self-knowledge, with his book Rethinking Introspection (Palgrave Macmillan 2013) offering a pluralist and naturalistic approach to understanding the first-person perspective. Dr. Butler was also a U.S. Fulbright Scholar during the 2016-17 academic year, teaching courses on cross-cultural approaches to self-knowledge at Jinan University in Guangzhou, China. His current research applies theories of self and mind to issues in the philosophy of psychiatry and environmental philosophy, towards the end of cultivating an accurate and sustainable understanding of our embodied existence in the world.